When it comes to Subaru cars and trucks, we offer an alternative to expensive dealership services. 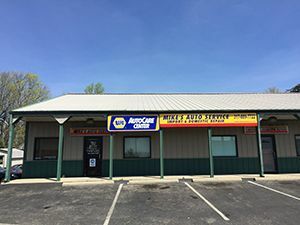 As a family owned and operated auto shop, we are strong believers in work ethic and integrity, which is why we offer top-quality Subaru service and repair at economy-based prices in Greenwood, Indiana. Subaru’s are excellent vehicles, and built to last. Our ASE certified mechanics retain the knowledge and resources needed to properly service your Subaru Impreza or Subaru Legacy. In fact, our NAPA® authorized auto care center provides service and repair for all model Subaru’s, old and new! We use all NAPA® and OEM auto parts to ensure your Subaru is dependable and safe. Our ultimate goal is to provide high-quality Subaru repair and service, and get you back on the road safely and conveniently, all for a price you can afford. We offer all Subaru services, including scheduled auto maintenance, minor repairs, major repairs, and more. We even offer tow truck services, written estimates, and new customer discounts. If you suspect your Subaru could use some routine service or repair, we are glad to help. Call our office today at 317-889-7722 to request a general quote or to schedule an appointment.